With the Global March for Elephants and Rhinos (GMFER) due on 13 April 2019, it seem appropriate to review trophy hunting in light of proposals to the forthcoming (May 2019) Convention on International Trade in Endangered Species of Flora and Fauna (CITES), Conference of Parties (CoP18) to advance the trophy hunting of elephants (not to mention ivory, rhino horn and live specimen trading). Trophy hunting covers a wide spectrum, but is perhaps most alarming when it targets threatened and endangered species on the African continent – all in the name of ‘sports’ hunting. When a hunter kills such a trophy animal, the hunter likes to call it “harvesting” which sounds much more benign doesn’t it – but an animal still bleeds and dies to satisfy the hunter’s trophy needs. Trophy hunting has belatedly started to recognise the rot within its own ranks, not due to some epiphany, but because the rot is harming the hunting industry’s ‘image’ and business model. But all too often trophy hunting makes emotional and angry outbursts in defence of “hunting culture” (sic), as if a weak ‘cultural’ excuse is a defence in itself for continuing the slaughter in the name of ‘sport’ because ‘that’s what hunters do (sic).’ The ‘anti-hunting brigade‘ are not the ones defying the scientific evidence in the name of a ‘cultural’ addiction. Let’s explore the justification (myths) often used by the trophy hunting industry to justify itself. In trophy hunting areas, government authorities set quotas for Hunting Permits (also called Concessions) at auction. But there is often no imperative for any bidder to demonstrate conservation credentials (ref. “Endangered and Threatened Wildlife and Plants; Listing Two Lion Subspecies,” Page 86, USFWS, 10 December 2015) – the highest bidder wins, usually a Hunting Operator – a business endeavour, not a conservation body. For example, in Katavi, Tanzania the estimated lion numbers were recorded as zero in 2014, from a population of 1,118 in 1993 (“Review of Panthera leo from the United Republic of Tanzania and from Zambia,” UNEP Report, 2015). It should be noted, that from 2010, 41 adult males (less than five years old) had been “harvested” for trophies in Katavi – it is probable that this excessive trophy hunting of young male lions led to the Katavi sub-population’s decline. “Tanzania is Africa’s leading country for big game hunting in unfenced areas, and yet the numbers of lions and elephants shot have plummeted over the last six years. Despite a six-year age limit on lions (only lions older than six years may be shot), in 2015 66,7% of the lions shot were five years old, or younger. Aside from the issue of the hunting of under-age lions, this statistic demonstrates the lack of suitable lions left to hunt. Hunting quotas tend to be pursued based upon a financial break-even, not a sustainable offtake (which is key to any notion of a conservation imperative). Before setting a quota, overall species population estimates are often based upon biased guess work, not science. An example of such flawed/biased ‘thinking’ was evident in 2011 when in partnership with a pro-hunting lobby group, Safari Club International (SCI), Namibia launched a census “to manage the sustainability of the leopard population.” The limited returns from the farmers’ census were extrapolated, producing a flawed national estimate of leopards of over 14,000 leopards – giving the notion that there were ‘plenty left to persecute/kill.’ The reality is leopards are a shy and elusive species, there is no feasible means to accurately estimate the population, let alone such a high estimate to justify the killing. South Africa’s recent proposals for leopard hunting quotas were base upon ‘leopard densities’ extrapolated from data first established in 1972 (that has no realistic correlation with any current scientific certainty). For example, Zimbabwe’s CAMPFIRE programme (established 1981) was introduced to distribute dividends derived from Trophy Hunting to local communities. In 2007 (Mutandwa and Gadzirayi) surveyed communities that should have benefited from the CAMPFIRE programme reported that dividend had not been received since 1997, with no discernible additional benefits for employment or improved infrastructure. An Economists at Large 2013 report, “The $200 million question” concluded that as little as 3% or less of hunting revenue generated trickles down. The hunting theory being that if a local community benefits, then wildlife in the vicinity will have ‘value’ and the local community will thus protect wildlife. Regardless, local communities are not always guaranteed to enshrine wildlife protection even when there is trickle down value – domestic cattle herds and farming take priority regardless in local communities, particularly when resources are in short supply, such as water during drought and/or when herds of cattle are intentionally taken into habitat where wildlife conflict is inevitable. What happens to the other 97% of hunting income that does not trickle down? The 2015 ‘Panama Papers’ highlighted that at least 30 wildlife safari companies in Africa were connected to offshore companies mostly incorporated in the British Virgin Islands. Lions and other charismatic wildlife are more valuable alive than dead – hunting income (some $234.75m USD) across Africa is less than 2% of general photographic tourism income (some $13.251bn USD). The two activities are seldom compatible. General tourists do not want to hear and see wildlife being slaughtered in the name of ‘sports’ hunting – the negative press bad hunting practices generate can harm any country’s ‘conservation’ reputation as a desirable tourist destination. Botswana is proposing to reintroduce elephant (and other species) trophy hunting and the resulting elephant meat being used to produce pet food. Dr Mike Chase is an elephant biologist with over 20 years’ experience and founder of Elephants Without Borders. His research suggests that increases in human-elephant conflict within Botswana outside the ‘traditional elephant range’ are more closely associated with increases in human population densities than any notion of elephant population growth – plus drought, poorly maintained fences and elephants searching for food whilst their migration is restricted by poaching and habitat constriction in southern Angola and Zambia. Botswana enjoyed a 2.4% growth in GDP (Gross Domestic Product) in 2017 to $17.407bn USD (which equates to some $7,595 USD per capita) – GDP rising to $18.620bn (2018) and £8,443 per capita (2018). The mineral industry (including diamonds) provides about 40% of all Botswana’s government revenues, with tourism (including luxury photographic safaris operators) contributing some 11.5% ($2bn USD) of GDP in 2017. So, Botswana’s general economy is growing, but perhaps not all Batswana benefit from the wealth so created, particularly those in rural communities than once relied upon hunting concession income in the past. But in 2011 Botswana derived less than $25.4m USD from trophy hunting income – equivalent to contributing less than 0.16% of GDP (2011). In Botswana, tourism generated US$687 million revenue in 2017, and created 26,000 direct jobs. By contrast, in 2014 (when big game / trophy hunting was banned) the trophy hunting industry generated under US$20 million in revenue, and created 1,000 jobs – is it worth risking Botswana’s general tourism income for dubious elephant trophy hunting needs? Even when poaching is present in a target population, trophy hunters continue to add to that attrition. Consider the open quota for trophy hunting of white rhino in South Africa when up to 1,000 rhino per year are being lost in South Africa to poaching for rhino horn (Note: the White rhino populations of South Africa and the Kingdom of Eswatini (formally Swaziland) are listed as CITES Appendix II (exempt from Appendix I restrictions) to facilitate the export of live specimens and ‘legal’ hunting trophies). How does killing more rhino as trophies help reduce demand/poaching and how does such killing not become pseudo-hunting to obtain wildlife commodities, such as rhino horn? The average spend in Tanzania by trophy hunting operators for anti-poaching efforts was “US$0.18 per hectare per year – far off the current standards of US$7-8, and Kenyan Wildlife Service’s figure of US$14. By spending a mere 2% of the required amount, Tanzanian trophy hunters have not been able to maintain biodiversity in those areas. Compared with tourism concessions in Kenya’s Maasai Mara paying US$40 per hectare per year – without counting the redistributions linked to entry fees and employee salaries.” If income is key to fighting poaching, then trophy hunting gives a poor return. It would seem that trophy hunting is a way to offer minimal income to otherwise deprived communities that might resort to poaching. However, this policy is sporadic and in itself is not conservation of the target species per se., but more of a means for humans to benefit from ‘sustainable utilisation’s’ (sic) wildlife attrition. Trophy hunters want the biggest and the best as their trophy (ie. a bull elephant with magnificent tusks) – the avid trophy hunter does not ‘target the weak, the old and the ill’ as is so often claimed. Black rhino hunting still persists today. 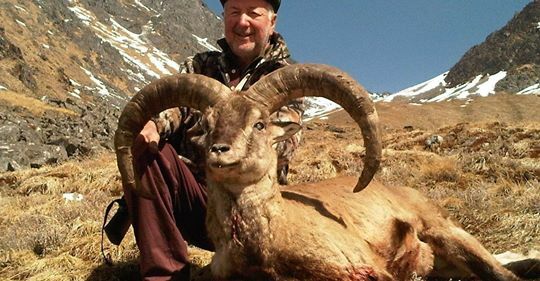 Many hunting associations, such as Safaris Club International (SCI) award a given hunting member points based upon the aesthetics of the trophy animals they kill. There is no such reward or bragging rights associated with killing a less desirable weak, injured, or older trophy animal. In lions prides it can be devastating – when a dominant pride male is “harvested” by a trophy hunter, it can lead to multiple lion deaths as an incoming, pride male may well kill any remaining cubs associated with that “harvested” pride male – so one trophy can lead to multiple lion deaths and even a pride’s devastation. Research by Panthera and others shows that it can take as long as 7 years for a lion pride to recover, and that as many as 20 lions and cubs can die in the upheaval. 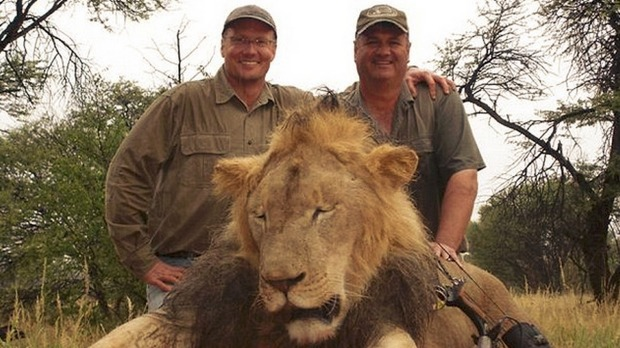 Examples: Cecil the lion “harvested” in July 2015 by Walter Palmer using a bow and arrow (initially) – Cecil was a pride male lion lured from Hwange National Park, Zimbabwe to face an agonising 40 hour death……..Xanda another pride male (son of Cecil the lion) was lured by trophy hunters in 2017 from the protection of Hwange National Park……Skye, a pride male was baited and lured to his death by trophy hunters on 7 June 2018 from the ‘protection’ of the Kruger National Park, South Africa – there has never been any open explanation/justification from the hunters involved, just a cover-up to mask the deceit. Example: The recent story of a jogger being attacked by a young mountain lion in Colorado – we do know that trophy hunters orphan kittens. A third of mountain lion trophies “harvested” are females, not males – When you consider female mountain lions are pregnant or raising kittens for roughly 75% of their lives, such female hunting trophies are likely to leave behind orphans, which creates instability in populations, putting the orphans at increased risk of conflict with humans as they try to survive. “Two of the only five remaining mature desert elephants bulls that occupied the Ugab region of Namibia have recently been hunted. Tsaurab and Tusky, along with another juvenile bull Kambonde were shot in the midst of an international outcry and ongoing petitions attempting to halt the killings……on the day of the kill, the hunter refused to go ahead with the kill because the 18-year-old Kambonde was too small. Instead, the hunter was issued a last-minute trophy hunting permit to shoot Tsaurab, a desert elephant affectionately known for his meek and gentle character and one of only two young breeding adult bulls in the region. So, to many ‘noble’ hunters, there is the abhorrent spectre of ‘canned’ hunting mainly in South Africa – where big cats, mainly lions are bred in captivity (some 7,000 in captivity) to one day be killed in the name of ‘sports’ hunting for the trophy hunter that does not have the time, or will to seek the trophy – instead, a human reared animal is led into a limited enclosure to be executed by the so-called trophy hunter within minutes, not days. Plus, there are spin offs from the ‘canned’ industry, such as lion and tigers being bred to be killed for their skeletons/bones to supply the ‘lion bone trade‘ and the non-sensical demands of the Traditional Chinese Medicine (TCM) in China/Asia. This ‘canned’ industry has no legitimate claim to any scientifically recognisable conservation credentials. Although Kenya has many national parks and reserves protecting wildlife, elephant populations are still at risk, a problem which is made worse by corruption and some officials supplementing their income by facilitating poaching. The trophy hunting enthusiast say “look what’s happened to Kenya since they banned hunting and the conservation that the hunting provided to the wildlife.” A BBC News article (“Mara wildlife in serious decline,” 2009) states clearly “numbers of giraffe, warthog, impala, and hartebeest fell by 50% or more between 1979 and 2002,” citing evidence from a British Journal of Zoology report. The loss of grazing animals is already having an impact on lions, cheetahs and other predators according to the researchers. However, the scientists who conducted the report believe the surge in domestic livestock has been held largely accountable for the drop in wildlife population – The three main causes that have been cited for the drop in wildlife numbers are illegal poaching, larger numbers and ranges of domestic livestock, plus changing land use patterns on the ranches. There is no mention of ‘trophy hunting’ cited as a cause/effect for the decline in Kenya’s wildlife since 1977 – the trophy hunter’s ‘claim’ appears unsubstantiated. In terms of poaching in Kenya, the 2005 BBC article “Lifeline for Kenya’s ‘Lost’ Wilderness” the poachers shot the last of the black rhino in Sera over a decade ago. 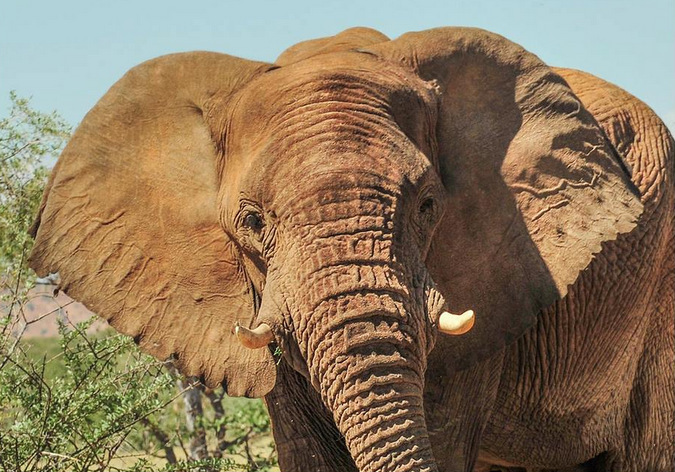 Elephant herds are now at levels of 20% compared with the 1970s. Lawlessness and armed poachers are still evident today, but heavily fortified wildlife areas are still managing to protect black rhino, lions and leopard also managing to ‘survive’ somehow. So, is Kenya an example of what will happen if Trophy Hunting is banned in a country? No, it is not. Kenya would seem to be an example of poor land management, poaching and wanton over-grazing, based on a culture where a man’s wealth and social status is directly linked to owning large herds of cattle, which dominate the grazing available to the detriment of wildlife. The claim if often made that trophy hunting is justified by the doctrine of “sustainable use of our natural resources” and “environmental right is primarily a human right whose purpose is the protection of human health and well-being….” What does that mean in reality? In a 2017 IWB article “The Unsustainable Excuse” we explored the “Kuruman canned rhino hunt” (as described in “Kalahari Dream“) and the apparently ‘legal’ “reasonable, sustainable…..use of natural [rhino] resources” – what happens when an adult, female (cow), White rhino is not sufficiently aware, or absently forgets that it has been deemed a “sustainable resource” earmarked to be executed by a fun-loving trophy hunter. The result is a pitiful demonstration of mankind’s worst traits. It’s abhorrent, so why should trophy hunting’s ethical and moral principles be less abhorrent just because its about animal species? For example, slavery and apartheid were once an abhorrent part of human ‘culture,’ but nobody today would claim such ‘cultural rights’ as a reason to accept such practices in the present day – the majority of the human species have evolved and the levels of acceptance (public opinion) have shifted accordingly. Threatened wildlife faces attrition from loss of habitat as humans expand and compete for resources – plus, there is the scourge of poaching and wildlife trafficking, as humans seek to profit from wildlife exploitation. Adding the burden of ‘legal’ trophy hunting attrition does not guarantee any kind of conservation return (in fact it can be used as a means to obtain wildlife commodities, such as rhino horn and ivory). Trophy hunting seems to have endured bad-practices (and hoped no-one outside the cabal would notice) for decades – of course anyone that points out the inherent bad-practices and flaws is labelled an “emotional” member of the “anti-brigade” – regardless of such name calling, the bad-practices and flaws in trophy hunting are a reality. Trophy hunting is not acceptable as the best bad option – its advocates continue to lobby counter to the shift in public opinion that acknowledges trophy hunting’s worst traits. Trophy hunting wants the attention diverted from trophy hunting to poaching and the illicit wildlife trade attrition. The attention must be maintained on all needless wildlife attrition (including trophy hunting). But the legal parameters need to shift in line with public sentiment within our own country. For example, the United Kingdom (UK) is about to bring in legislation to drastically reduce ivory trading within UK borders – the UK has long been a hub for poorly regulated trade in ivory antiques, which in turn stimulates demand, encourages illicit activity and thereby leads to more elephants being poached in the wild to meet demand. However, post-legislation, it will still be legal for UK citizens to purchase a ‘legal’ elephant trophy hunt (or, other ivory bearing species) and import any resulting trophy (including tusks/ivory) – where is the independent scientific evidence that says such wildlife attrition for trophies is not detrimental to the species and how will the ongoing legal ownership of such tusks/ivory and compliance with the law be overseen in the UK? Interrogation of the international (CITES) trade database (ref. Para 9, Conclusions) reveals that between 2001 and 2016 African elephant ‘parts’ were purchased for import into the UK including some 386 ‘tusks’ – including 54 ‘trophies’ – 108 tusks (9 ‘skulls’, 26 ‘skins’, 134 ‘skin pieces’, 11 ‘carvings’ and some 700 ‘ivory carvings’). The CITES systems used to track such ‘legal’ trophies and wildlife parts is paper based and open to widespread anomalies and corruption. However, a recent World Bank Report highlighted that nearly US$200-million was spent by pro-trade lobbying groups promoting sustainable use and alternative livelihoods based on this outmoded system, of oversight and control, but nothing was allocated to solve the longstanding problems in this ‘legal’ trade system itself. 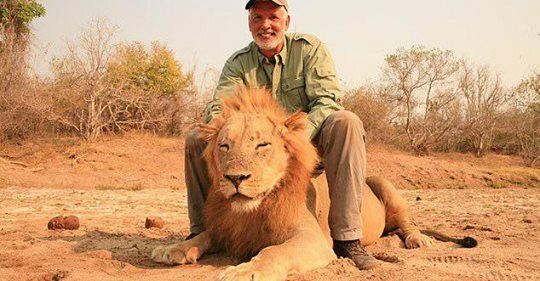 Lion hunting trophies also continue to be ‘legal’ to import into the United Kingdom – despite government promises to act in 2017 if there was no clear science to support such attrition…..….it’s time for all UK hunting trophy imports to stop and face independent scrutiny. So, please join a group, rally, march, raise your voice – UK trophy hunting imports cannot continue whilst the independent scrutiny is so lacking and open to corruption. The species attrition of trophy hunting serves only limited vested interests with no proven, guaranteed conservation credentials. Iconic species generate far more general tourism income alive than dead – to reiterate, across Africa hunting income is less than 2% of general photographic tourism income (some $13.251bn USD). Time is running out, extinction looms for many iconic species within our own lifetimes. African Elephant – Back in the early part of the 20th century, there were as many as 3 – 5 million elephants. Today, the wild African elephant population is perhaps less than 400,000 across the entire African continent. This population is insufficient to reproduce and sustain that population level at current annual losses of some 30,000 elephants a year. But elephant trophy hunting still persists. “In the year 1800 about 1 million rhinos lived on earth…..Rapid human population growth and more efficient hunting methods greatly accelerated the decline of rhinos during the 1800s and 1900s” – M. ‘t Sas-Rolfes, “Saving Rhinos: Success versus Failure,” Rhino Economics, 2011. Today the Southern white rhino is classed as “Near Vulnerable” by the IUCN, with just some 20,000 remaining. The Northern white is basically extinct, with only two older female specimens still surviving at the Ol Pejeta Conservancy in Kenya. The Black rhino is classed as “Critically Endangered” by the IUCN with the Black rhino species numbers estimated at just 5,000 – poaching persists to illegally obtain rhino horn, but there are exemptions for rhino to be trophy hunted in South Africa and Namibia. African lion – The most recent estimate of the lion’s range throughout Africa suggests that just 8 percent of the lion’s historical range remains. The African lion species population has declined from some 450,000 as recently as the 1940s to a 2014 estimated low of just 18,726 (a 96% implied decline) – but wild lion trophy hunting still persists.